Doing business in a highly competitive world is a challenging task. One of the most important things to have in place is basic communication tools to have your brand available to anyone who might want to get information from you at any time of the day and night. 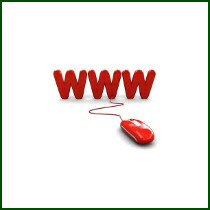 Registering an internet domain is an essential step to accomplish that. Strong brand awareness can be built around your website and e-mail addresses carrying your name. Getting the basics in place is very easy nowadays and there should be no reason for any business not to have at least a domain registered to brand their e-mail communications with customers.